I’ve been trying to do at least one block a day. Either one block for Sampler Shenanigans (temporary name for the 6″ blocks I’m piecing right now) or one block for Dear Jane. Ideally, I’d do one for each, but that hasn’t happened yet. 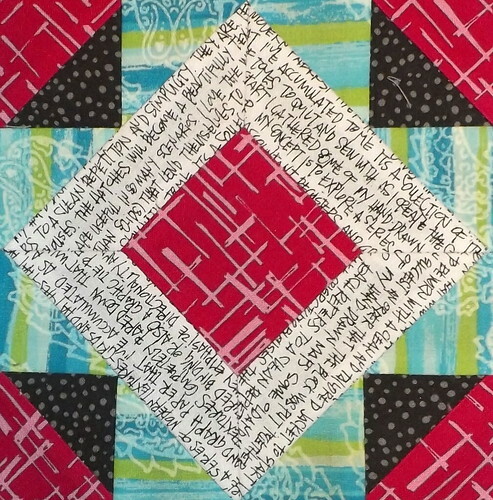 Sampler Shenanigans has been eating my brain, because 6″ blocks can be nice and quick (assuming you’re not as much of a stickler for details like I am). 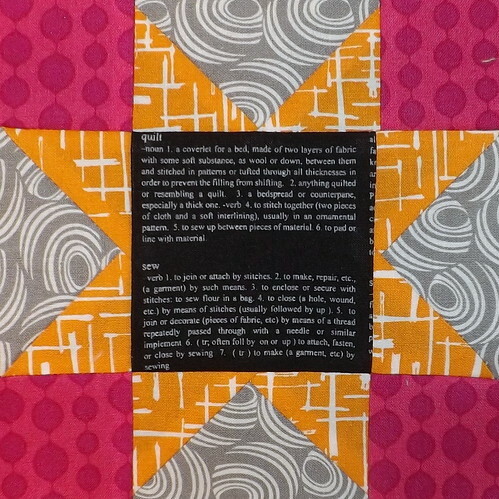 I’m still working from Jinny Beyer’s The Quilter’s Album of Patchwork Patterns, and while I’ve taken the last few days off sewing, I figured I should share a bit of what I’ve been doing. This block is Mosaic No. 21. And, yes, I am being particularly finicky about making sure text fabric all faces the directions I want it to. Paper-pieced for accuracy. Sawtooth. I always say I wouldn’t fussy cut for a whole quilt top. 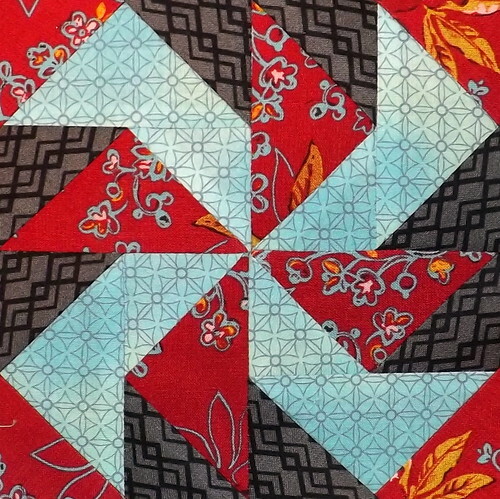 I should revise that to say, I wouldn’t buy yards upon yards of fabric to cut the same motif out over and over. 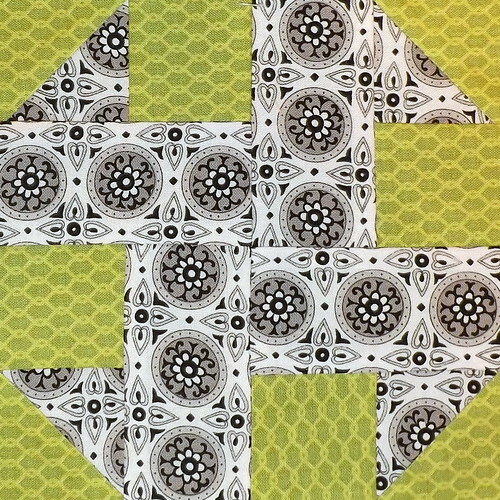 Scrap Zig Zag. I love this particular black and white print. It’s just so busy, I find I have a hard time using it in anything but one-off blocks. Wheel. This block took entirely too much effort. It’s just flying geese units. For whatever reason, I couldn’t accurately piece a single flying geese unit to save my life, the night I was doing this. I ended up paper-piecing out of frustration. I’ve been doing a lot of reading, and, while I’m not willing to give up rice entirely (hey, I’m half-Filipina! ), I’m willing to try things like zucchini noodles, or carrot rice. I stumbled across this website: http://www.inspiralized.com/ and decided that these recipes are definitely something I can try. I love vegetables, and I’m willing to play with my food. Time to start playing. Expect to hear back as I do this thing.